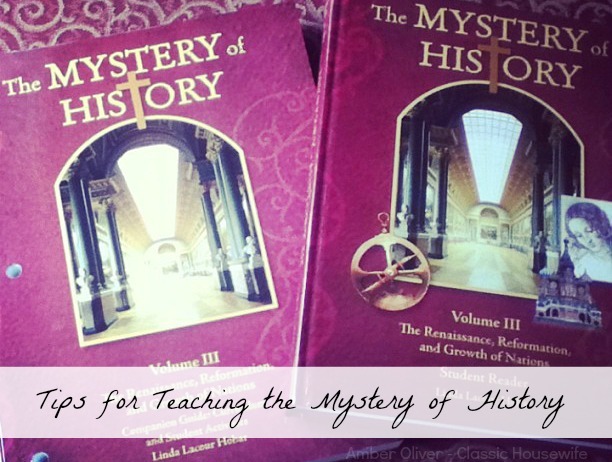 Do you have trouble fitting the extra stuff, the real learning, into your history lesson each week? One of my favorite things about The Mystery of History is that it makes such a great, living history read-aloud. The conversational tone makes it easy to read and easy to listen to; it’s not boring at all. My only problem with it is that it’s such a great read aloud! It would be easy to just read through the book. Yes, there are activities at the end of each lesson, but sometimes it’s hard to actually do them in a regular school day. Sometimes we read it, close the book, and move on. But that’s not the way I want to do history! The funny thing is skipping the activities is not the way my kids want to do history either. It’s also not the best way to make sure that the kids retain what they hear. If they’re going to remember what we are studying after the reading is over and the book is closed, then we have to do more. These are the types of activities listed at the end of a lesson, and sometimes we add our own. 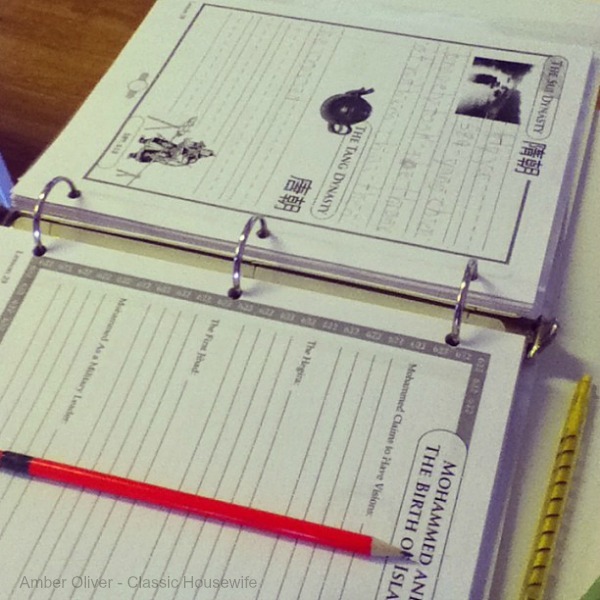 Make a notebooking page. Search the internet for public domain pictures of people, places, or events from the lesson. Print them, or draw them on your notebooking pages. Do a mapping activity. Print out a map to mark key places, journeys, wars, or civilizations. (WonderMaps is great for this. Print the map from the back of MOH or look up an additional map. Dress up or do face paintings. 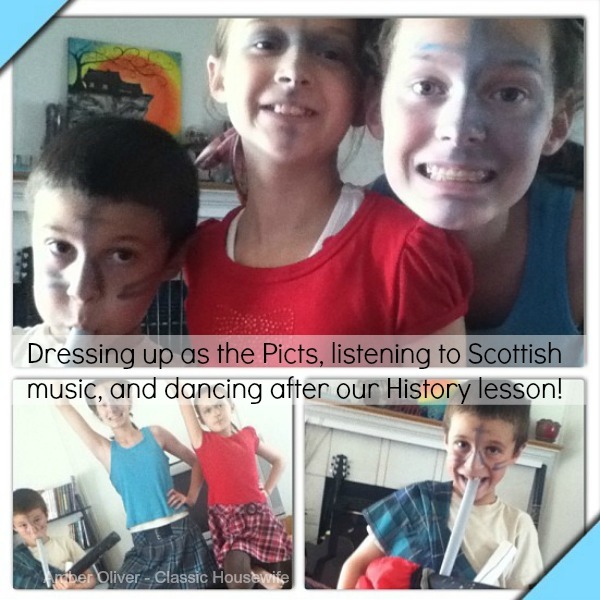 Get creative with whatever you have on hand to mimic the main character from the history lesson. 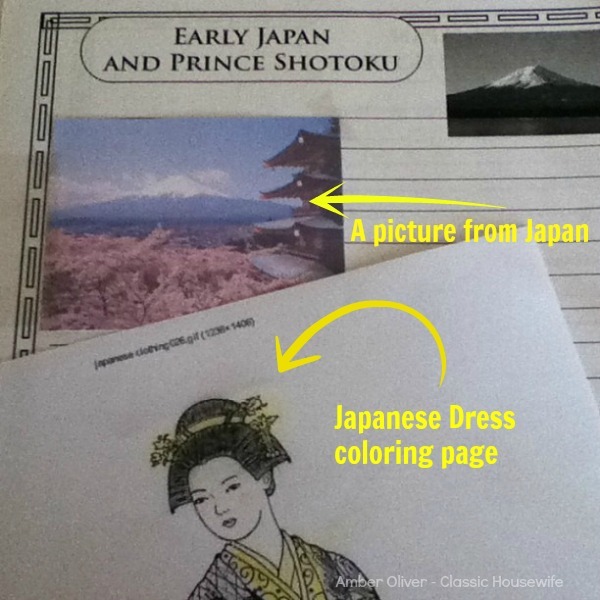 Color the coloring pages. Or search the internet for free coloring pages. Watch a complementary documentary or movie. Read a storybook about the historical figure or time period. Research your topic online. Delve into the aspects your kids are most interested in. We certainly won’t do all of these things for every lesson or even for every chapter. Most often we notebook or map. But we have to make sure we do the activities rather than just reading and moving on, right? Here’s a little trick that helped us finally start fitting more history fun stuff into our week. Immediately following the lesson, we try to fit in a little something; notebooking, looking up pictures online, dressing up, etc. But for us, I have found that things like notebooking and mapping happen more easily when it’s not an addendum to our lesson but when it is the main goal of our time. At the end of the week, set aside some dedicated notebooking catch up time. Go back, fill in things that were missed, and bring your history binder up to date. Do further research, add a storybook, or watch a documentary, too. That’s it; it’s that easy. By planning to have some dedicated notebooking time at the end of the week, we are freed from the pressure of trying to do too much after each lesson. Sitting down to work on it intentionally puts us in notebooking mode. In the process, your kids are also reviewing the material, so it’s a win- win! We love listening to the Mystery of History CD while traveling in the car. It’s like listening to a story, the younger kids hear it without the pressure of actual school, and then when we sit down to work on history, we know it’s notebook and mapping time.